Create your dream NONOMO® individually. 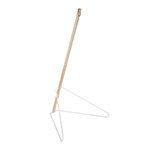 In our sale section you will find B-goods at reduced prices. Every child is different – and develops in his or her own way. And that's a good thing. Our NONOMO® sleep system supports this uniqueness. 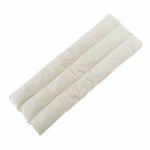 The tranquil bobbing and continuous motion of our exclusive NONOMO® spring gently soothes your baby, promoting healthy sleep. At the same time, this little nest grows with your child and keeps adapting itself perfectly to your life and your routine. 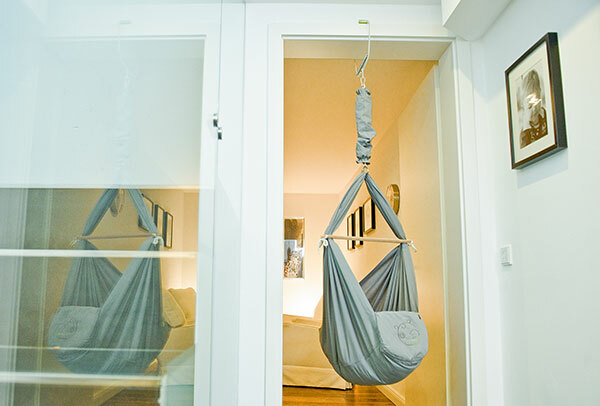 Because NONOMO® is more than a good sleep – the Baby Hammock is your loyal companion. At NONOMO®, we believe that our children deserve the best - in every respect. 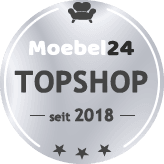 With our small team in Gelsenkirchen, we work hard every day to win your trust over and over again. Here, we give you a little insight into our philosophy, working methods, and values. Take time out from the everyday hubbub. Go to sleep relaxed. Wake up happy. Feel nature, feel close to loved ones. Focus on the essentials and listen to your inner clock. Feel good! 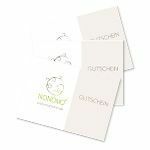 NONOMO® adapts to your everyday life. 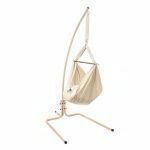 Our Swinging Hammocks in tried and tested quality provide a safe and cosy haven, and ensure your baby is close by your side. 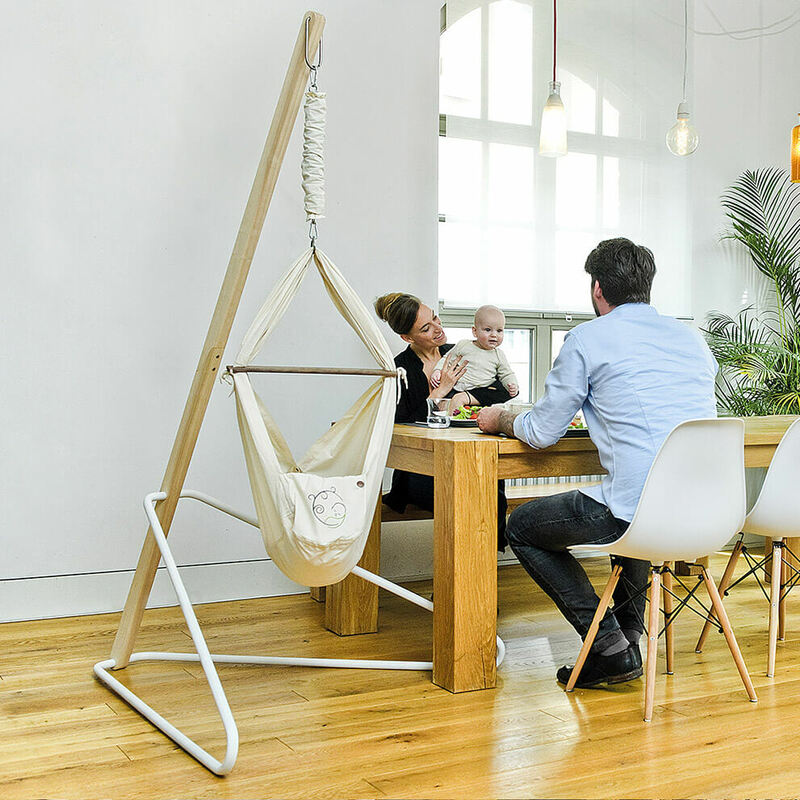 In the living room, on your travels or under the pear tree – wherever your baby needs to sleep, the high-quality hammock is close at hand. And it grows with your baby. 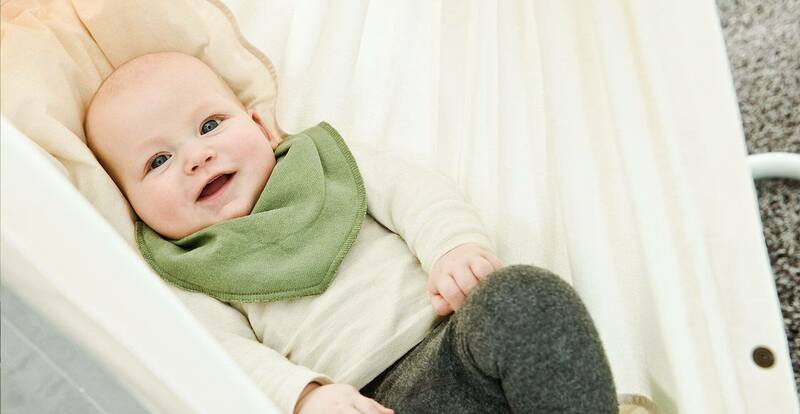 Giving you confidence, and keeping your baby snug – anytime, anywhere. To relax, your baby needs to feel safe and snug. 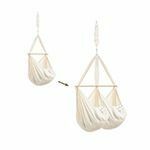 Thanks to the rocking motion of the specially designed hammock, which swings freely from the NONOMO® spring, even babies who tend to cry a lot are soothed into blissful sleep. And no wonder: the gentle sway recalls for them the protection of their mother's womb. Sleep simply couldn't be more natural. 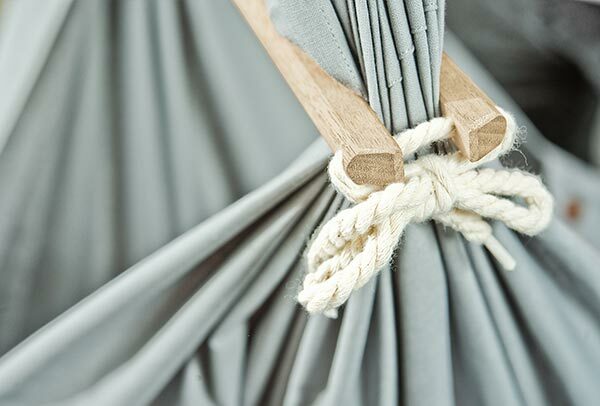 When design also works well: The NONOMO® Swinging Hammock works by keeping it natural. 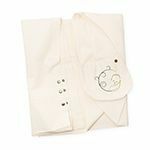 Its gentle curve means your baby's body weight is distributed evenly all over his or her back. 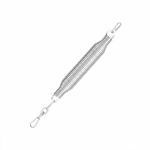 This not only takes the pressure off the coccyx and shoulders, it enables the back of the head to develop correctly. 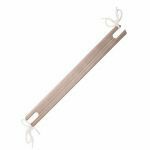 Our Swinging Hammocks are as flexible as you are: You can attach them to the ceiling, hang them from a stand, or – with the NONOMO® door clamp – fix them to the door frame, as you wish. 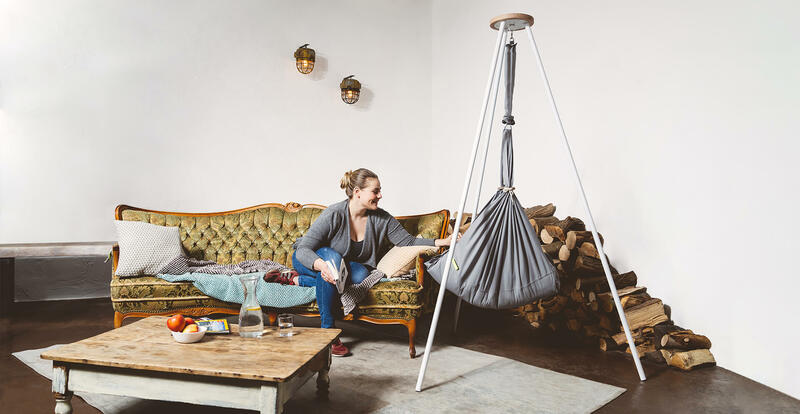 NONOMO® is also your perfect companion when you're on the go: lightweight and handy, the Baby Hammock fits in any luggage. We take the spirit of keeping it natural even further: For only quality is a guarantee of health and safety. That's why we use only high-quality, natural materials, such as untreated, certified organic cotton and wool. Sustainability is a common theme embracing all we do: from product design to customer care, we take our responsibilities seriously. Do you have any more questions? Then contact us!